Built: 1921, New York Shipbuilding Corp., Gloucester City, N.J. Hull Number: Unknown Port of Registry: New York, N.Y. Owner: Socony Vacuum Oil Co., Inc., N.Y.
Today, Dixie Arrow rests in 90 feet of water, 15 miles south of the Hatteras Inlet. 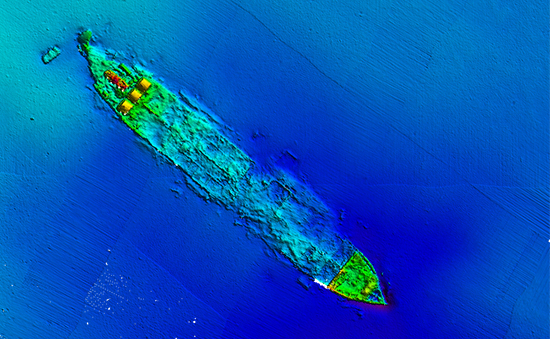 The vessel sits upright, intact, with the main features of the site at the bow and the stern areas. 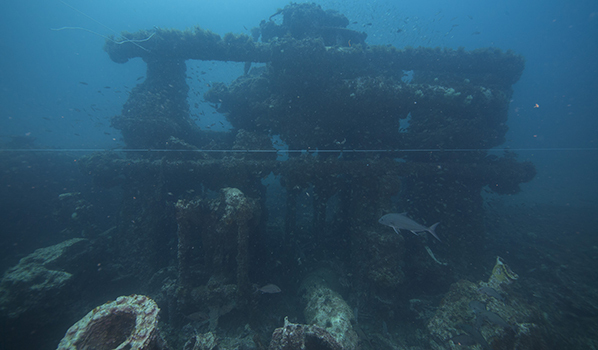 The intact, but collapsing steel hull, lies sitting upright on its keel. The bow section includes portions of its stem that rises up thirty feet and sections of the forward deck and outer hull structure. 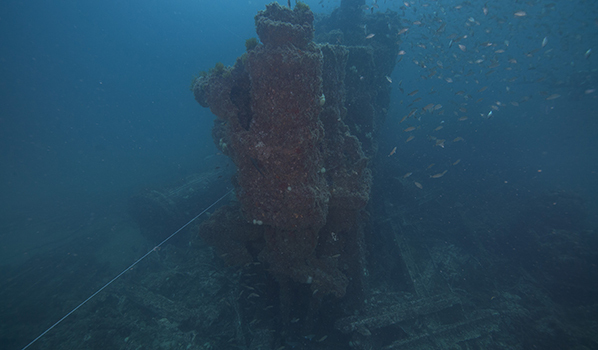 The bow's starboard side contains its chain locker, including two large chain piles, and hawse pipes just forward of where the forward deck has collapsed into the sand. 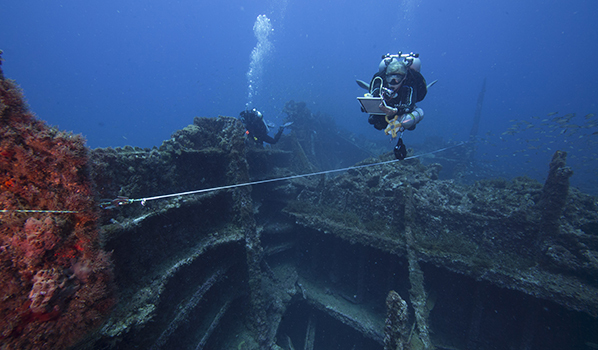 Smaller machinery pieces, such as the windlass and cargo pumps, are also located at the bow. 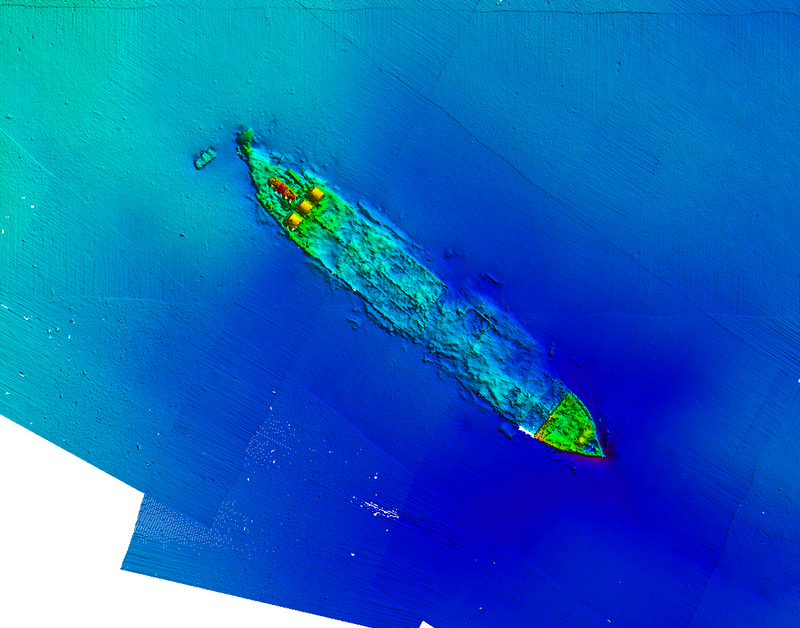 At amidships, Dixie Arrow's remains have mostly fallen inside the hull, leaving only sections of unidentifiable debris along with small sections of intact frames and hull plating. The vertical outer hull varies in height from three to ten feet and continues all the way to the stern. A small amount of deck beams, bulkheads and cargo tank wall sections are in place. 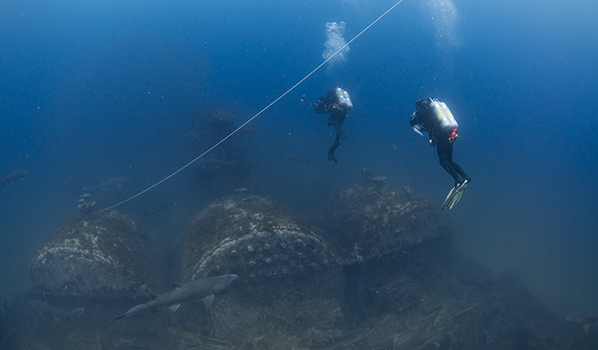 The tanker's keel is visible in areas where the rest of the hull components are missing. The cargo of fuel has long since been lost and there is no remaining oil at the site. 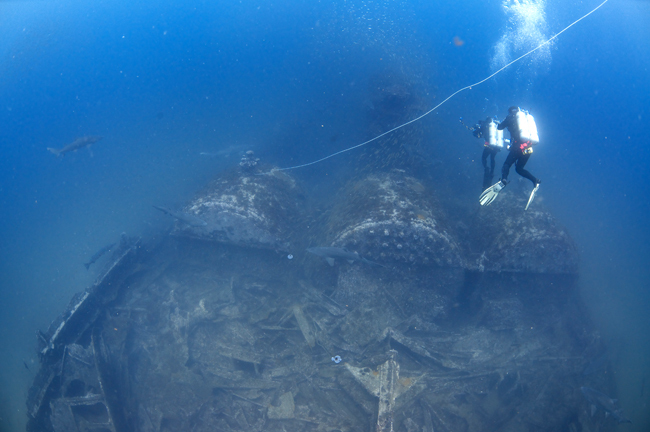 At the stern, the boilers and engine are among the most prominent pieces still available. The triple expansion steam engine provides the highest relief for the site and is quite a remarkable site. On both sides of the engine are the scattered remains of the machinery spaces: pipes, valves and fittings of all sizes and descriptions. 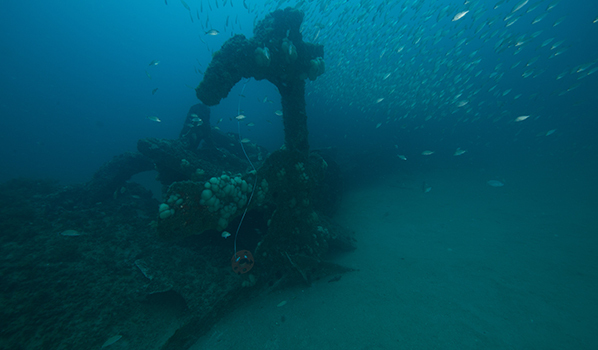 The propeller is also still discernable; however, it is mostly buried in the sand. 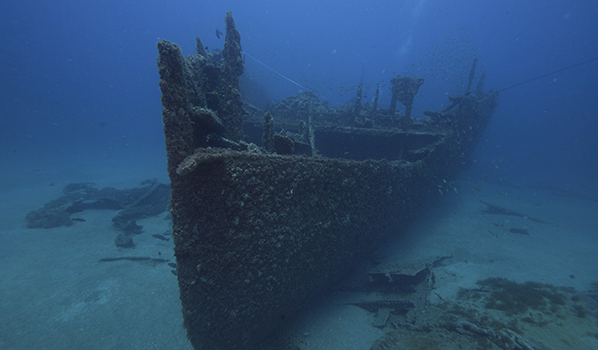 Dixie Arrow was built in 1921, by New York Shipbuilding Corporation. It was completed and ready for service in 1921. Between 1923 and 1931, Dixie Arrow serviced the three largest oil producing and consuming centers of the United States: the North Atlantic states, states bordering the Gulf of Mexico and the Pacific Coast states, particularly California. Dixie Arrow's coastal route did not change with Europe's or the United States' entrance into World War II. The tanker continued to move petroleum products between Texas and the North Atlantic states operating in locations susceptible to enemy attack. 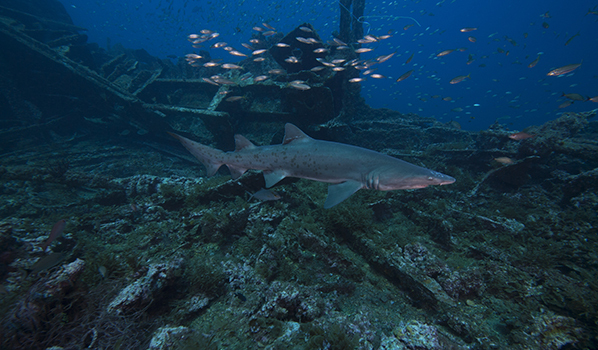 On March 19, 1942, Dixie Arrow departed Texas City, Texas, with a cargo of 86,136 barrels of crude oil for Paulsboro, N.J. At dawn on March 26, 1942, U-71 was working near the Diamond Shoals Light Buoy hoping to intercept targets when it spotted Dixie Arrow. 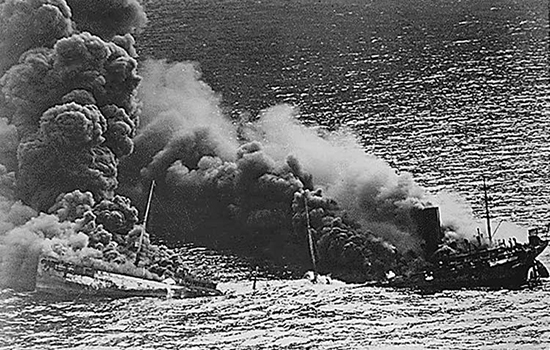 U-71 fired two torpedoes that slammed into Dixie Arrow's starboard side. In less than a minute the tanker was fatally damaged and engulfed in flames. 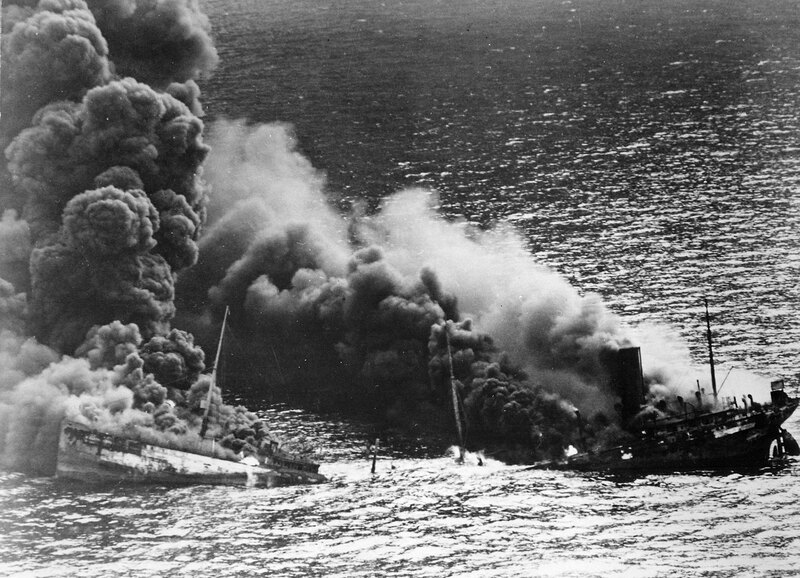 Dixie Arrow's crew had no warning and was unprepared for U-71's violent attack. Of the 33 man crew only 22 survived.